NSDC Secretary visits army strongholds in Shyrokyno. The Secretary of the National Security and Defense Council, Oleksandr Turchynov, went to Donbass amid the reports about the worsening of the situation in the zone of the antiterrorist operation in Donbas. "The Secretary of the National Security and Defense Council visited the front line of defense of the Armed Forces of Ukraine in the Mariupol sector due to the worsening situation in the zone of the ATO," the press service of the NSDC said in a statement on 13 July. 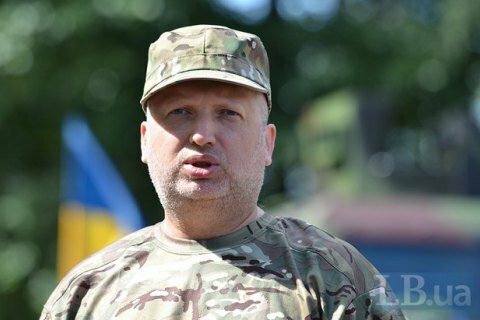 Turchynov held a meeting with the commandment of the ATO and checked the combat preparedness of Ukrainian military units in the area of Mariupol. He also visited the strongholds in Shyrokyno and other positions on the southern defensive lines. Over the past day, 41 cases of armed attacks were reported Donbass, including 19 - in the Donetsk, 18 - Mariupol, and four in Luhansk sector.